Time for some rock! 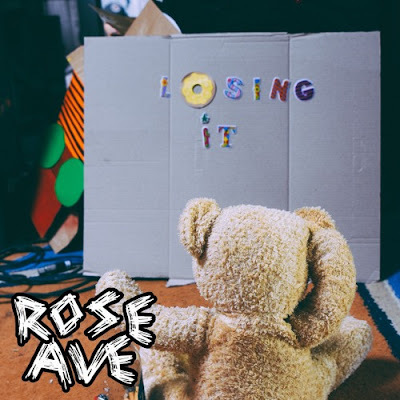 Australian pop-punk band Rose Avenue have unveiled their brand new single Losing It, out now via The A&R Department. Loving the energy of this song guys! It has a classic pop Blink 182 vibe to it! Awesome guitars and percussion. Definitely a summer anthem! Stream it below! Losing It is about learning to have a good time, having fun, having a boogie and letting loose. The true core of song is to create that joyful atmosphere to be able to take the listener out of their world/shell. Lyrically to give listeners a positive message that everything’s going to be alright just learn to smile, be yourself, be weird, be a kid again, and have fun once in a while. Lead singer Jeff wrote the song. One day after cracking a cold beer, an exhausted Jeff envisioned a song that would be able to bring up peoples moods. He needed something simple, catchy, quirky and bright yet an underbelly that could give salute to the head bangers. He needed something that people can get up and dance to. As the song progressed he needed something to really make this track stand out so then naturally, he added the rap to it. Rose Avenue is a pop-punk/rock band established in 2012, the band members consist of Jeffrey Jordan, Andrew Thompson, Anthony Lunt & Carl Farnsworth. The group came up with the band name from the spot where they use to catch up before band practice and you guess it on Rose Avenue.